There are a smattering of sites devoted to ostracizing a few select judges. These usually pop up when one party feels so aggrieved that they decide to let the whole world know about it. There is nowhere online that judges are celebrated. Now there is a place to do this. The Robing Room. This site is a place where Judges are Judged. It reports to be operated by attorneys and is based in New York City! The site lists Judges by Federal and State Districts. The Mississippi page, linked here, has Judges listed by County and by Circuit or Chancery District. The listings have not been updated in some time, and a number of the judges are not judges anymore due to retirement and elections. There are only a handful of reviews for Mississippi, but other states have more. I assume the dearth of information is because this is not a commonly known site in Mississippi. So if you love your judge or love to tell the world how bad he/she is, now is your chance. The site states the postings are anonymous, though require an email to post a rating. The rating provides for a numerical score on multiple characteristics and allows for comments. Matthew Thompson is a Family law attorney and knows the judges may groan about this. However, the positions are non-partisan, elected and subject to public scrutiny or praise. Be the judge that gets the praise. Go Jump off the Roof! This lawyer answered in the affirmative. Adam Wirtz, an attorney in Illinois, was craving a “skybath” and jumped off of the 10-story Courthouse under construction in Will County, Illinois. He was observed by law enforcement and arrested upon his landing. It appears the charge will be trespassing. Matthew Thompson is a Family Law Attorney in Mississippi and is amazed at the length some lawyers will go to avoid Court! Know the rules of your particular Courthouse before you get there. Cell Phones, Cameras, Recording Devices, Laptops, Ipads, E-Notebooks, Smart Watches, Mace, Weapon’s accessories (ie., a holster, even if empty), Purses, Hand bags, and the like. In some jurisdiction this applies to the litigants and in some the litigants, witnesses, observers and attorneys. 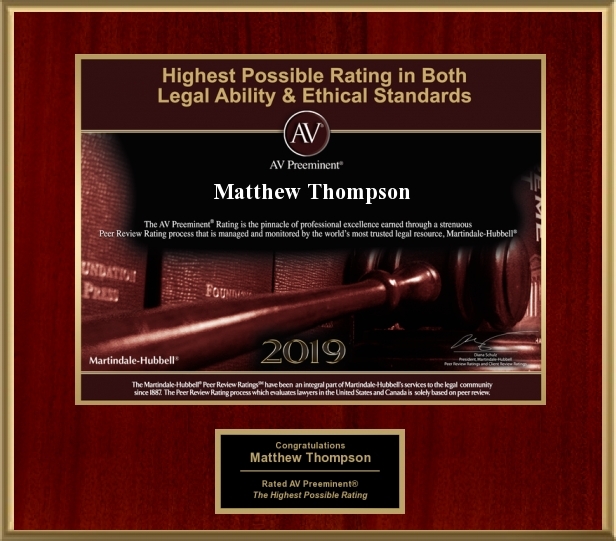 Matthew Thompson is a Family Law attorney in Mississippi and reminds you to Ask your attorney the rules of what you can and cannot bring to Court.